Published on 21 May 2012. I’ve just finished watching the complete West Wing again, and I’m experiencing that odd withdrawal / mourning feeling that so many of my friends describe, and that I had most acutely back in 2006 after my first run-through. 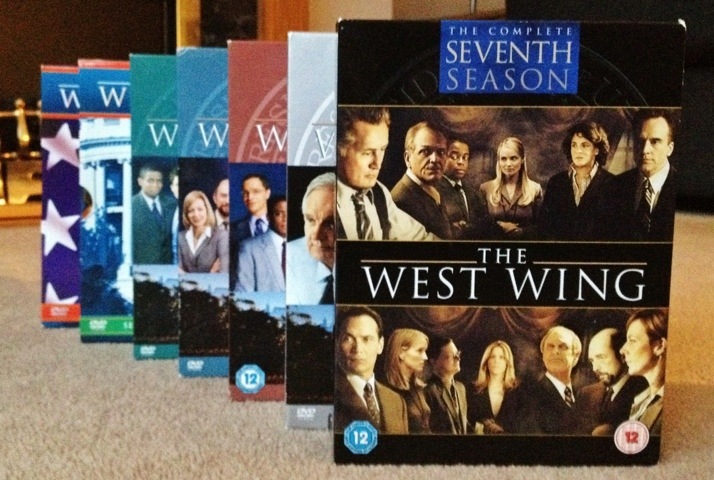 It seems incredible that it’s 12 years since I first saw The West Wing, and six since it ended. It’s a really fantastic series, and if there’s anyone left in the country that hasn’t seen it, you really must buy it now. This 1,656th post was filed under: Media, Photo-a-day 2012, The West Wing.